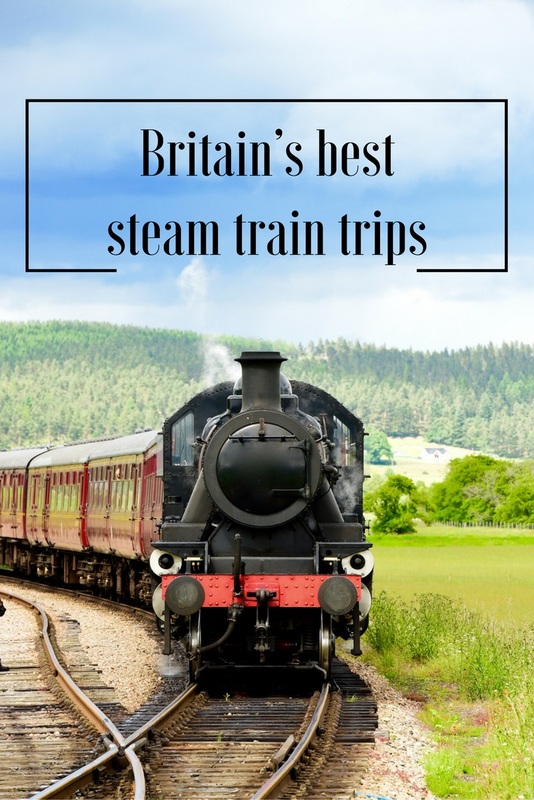 As the famous Flying Scotsman prepares to take to the tracks later this year following its triumphant return in 2016, we’ve decided to take a look at some of Britain’s best rail journeys. 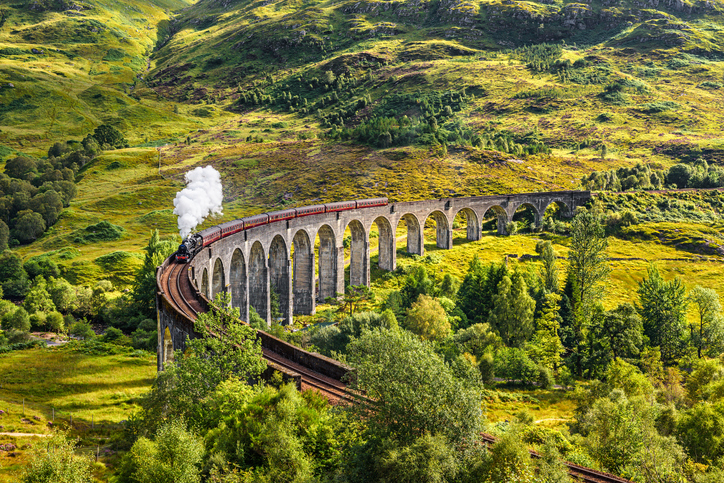 Often described as the world’s greatest train journey, the West Highland Line will be familiar to many as the railway that took Harry Potter to Hogwarts. The 5-hour route runs from Glasgow to Mallaig, passing over the iconic Glenfinnan Viaduct as it goes and offers stunning vistas of Ben Nevis and a few wonderful Lochs. For a truly magical day, take the 84 mile round trip on the excellent Jacobite Steam Train. Starting at the foot of Ben Nevis in Fort William the route allows you to take in the Gelnfinnan Viaduct before heading through the most westerly mainland railway station, Arisaig and on to the charming Mallaig Bay. There’s no need to take the high road – sit back and relax as this vintage railway in the Scottish Highlands chugs through the stunning Cairngorms National Park between Aviemore and Broomhill, stopping at Boat of Garte on the way. The line sees to your appetite with anything from waiter served evening dinner, traditional Sunday lunch and afternoon teas to special Easter, Halloween and Christmas deals – book early as tickets often sell out well in advance. Travellers with disabilities are entitled to a one third discount off standard 2nd class fares. Journey across the mountain tops of North Wales on this incredibly picturesque railway ride taking you through Snowdonia National Park. 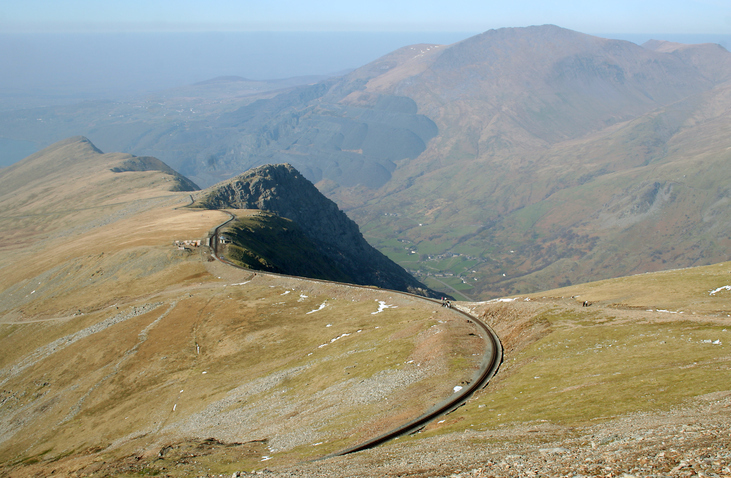 The line runs from Llanberis to Snowdon where, at 1,085 metres, you will be standing on the country’s highest mountain. 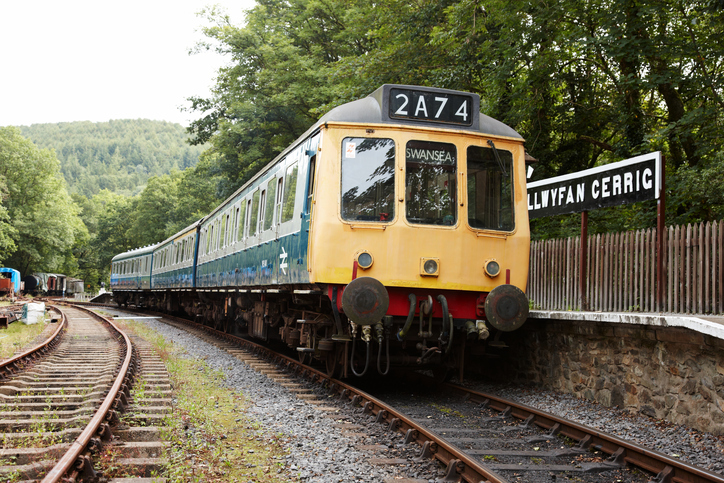 Choose between the Traditional Diesel Service and the Heritage Steam Experience to get right up to the summit where jaw-dropping views await you – make sure you pick up a Snowdon Souvenir Guide which is full of beautiful photographs and available at the station. Hop onto the Lakeside & Haverthwaite Railway for a leisurely steam train trip from quaint Haverthwaite village to the southern tip of Lake Windermere. If you’re travelling with the kids, the Woodland Playground alongside the Station Restaurant will help them work off some their energy. It’s also well worth popping into the Engine Shed to see its impressive collection of diesel and steam locomotives. 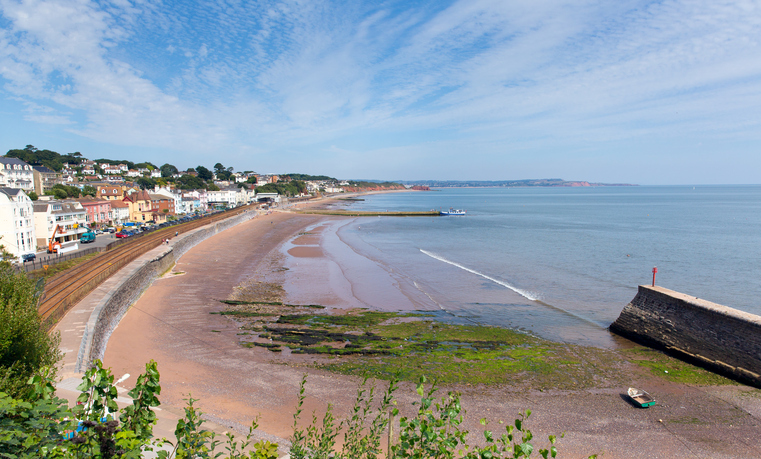 The South Devon Railway is the longest established steam railway in the south-west and one of Devon’s most popular tourist attractions. This seven mile former Great Western Railway runs through the picturesque valley of the River Dart between Buckfastleigh and Totnes, calling in at Staverton. While you’re in Totnes, visit the Totnes Rare Breeds Farm and the Darmoor Otter and Buckfast Butterflies. You might also like to schedule in enough time for traditional Devon cream tea at the award-winning Refreshment Rooms in Buckfastleigh, also open for breakfast and lunch. Two miles of hand-laid track make up Northern Ireland’s only full-size heritage railway. Running between Downpatrick and Inch Abbey, the ruined 12th century monastery of Games of Throne fame, you’ll be travelling amid the rolling hillocks of County Down and over the gentle River Quoile. Don’t miss the Carriage Gallery and Workshop, and for the kids there’s an activity area and Santa even climbs aboard the train during December. Ride the locomotives once used for industrial and wartime service. The Gwili Steam trains operate from Bronwydd, near Carmarthen, along a short section of the former Carmarthen to Aberystwyth line. Fields, rolling hills and gulls swooping along the water glide by as you watch from the carriage. The Railway has been working south towards a new station called Abergwili. This 1.7 mile extension increases the route’s length to 4 miles. Themed events, visits to iron mills and a river ride are also in store as part of tours lasting about an hour – you can hop on and off for sightseeing and refreshments along the way. Train enthusiasts will love the fact that this is the UK’s very first preserved standard gauge passenger railway. The line runs between Sheffield Park and East Grinstead, calling in at Horsted Keynes and Kingscote. This much-loved railway is run by volunteers who run an inventive events calendar, including the chance to drive a steam train on Full Steam Ahead Day (30 September) and Giants of Steam weekend (28-30 October). Considering a UK holiday? Read more about covering your holiday in the UK.